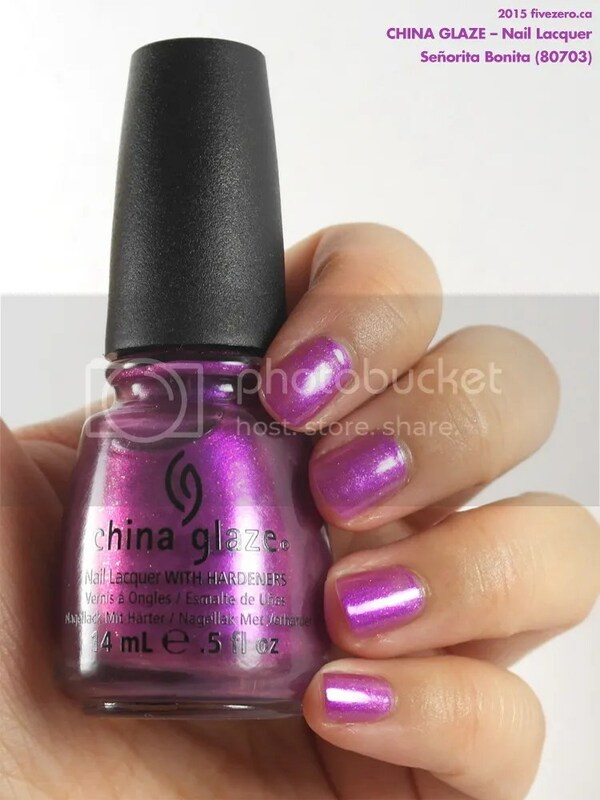 I just have a quick swatch today of China Glaze Señorita Bonita (80703)! It’s a pretty midtone purple-leaning-pink shimmer. The formula is a little sheer, but China Glaze’s glass-fleck is one of my absolute favorite finishes, so I am happy to do the required three coats. If you want a sheerer look, though, you can easily just do two coats. Oh purty! It would look amazing layered over navy or black creme! This is a gorgeous color! I’m going to have to pick this up on my next trip to Ulta or Sally because I don’t own anything like it! !